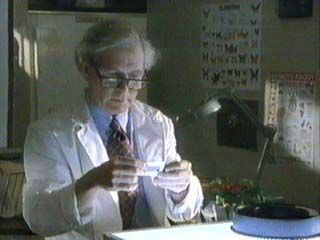 In The Witch, Dr. Gregory is first seen as the biology teacher. He's showing the students how to mix some chemicals together while Xander, Buffy, and Willow are trying to conjure up a formula that will let them know if Amy Madison is a witch. His presence in this episode is minimal. 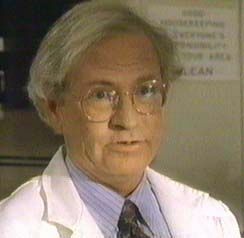 Dr. Gregory's only in a few minutes of Teacher's Pet, but his presence is felt throughout the entire episode. He's remarked to Buffy that he has faith in her abilities as a student, and has proven that he's willing to give her a second chance in spite of what her transcript from Hemery High in LA says about her. Dr. Gregory is also one of the few teachers whom Giles liked and respected. Unfortunately, Miss French, the She-Mantis gets her claws into Dr. Gregory and kills him. "Don't be sorry -- be smart." -- to Buffy after she apologizes for not doing "the homework thing." Deirdre is someone from Giles's past, when he was a rebel who conjured up demons -- or at least one demon, Eyghon. Anyhoo, we first see Deirdre in her possessed demonic state outside of Sunnydale High. She's getting ready to kill Philip, another member of their old gang who bears the mark of Eyghon. Deirdre turns into some type of black liquid goop, and it's in this goop-state that she-as-Eyghon can get into Philip's system and kill him. 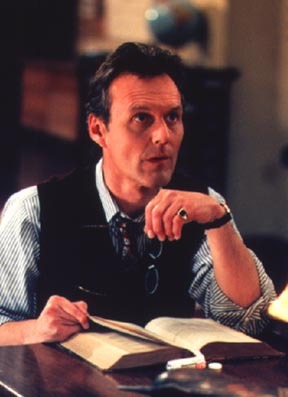 Giles doesn't find out until later that Deirdre is dead; he tries to reach her in England, but he's told that she's dead. That's about all, Deirdre-wise. Pics of Dr. Gregory courtesy of Zak Zandarah!